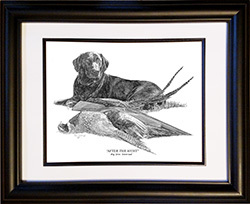 This black and white print of a drawing in the unique Jim Tostrud "Pencil" style features a Black Lab guarding his prize. 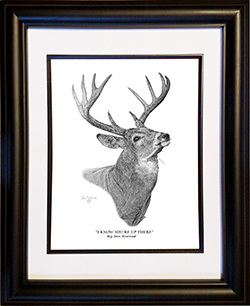 "I know you're up there"
This black and white print of a drawing in the unique Jim Tostrud "Pencil" style features a whitetail buck with his nose to the wind looking for danger above. 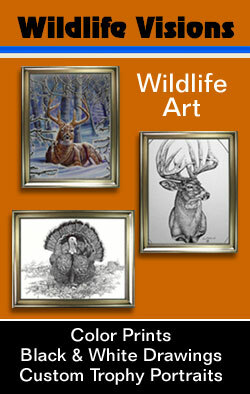 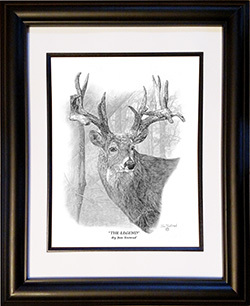 This black and white print of a drawing in the unique Jim Tostrud "Pencil" style features a whitetail buck looking for a way out of danger. 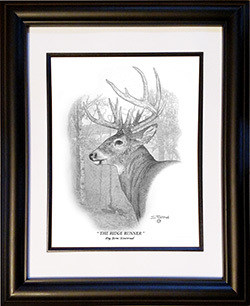 This black and white print of a drawing in the unique Jim Tostrud "Pencil" style features a whitetail buck known by many but seen by few "The Legend". 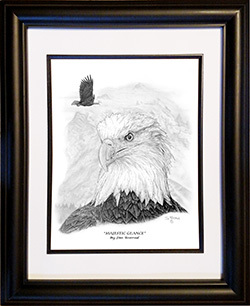 This black and white print of a drawing in the unique Jim Tostrud "Pencil" style features a Bald Eagle surveying the terrain below. 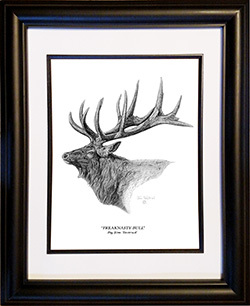 This black and white print of a drawing in the unique Jim Tostrud "Pencil" style features a trophy Bull Elk. 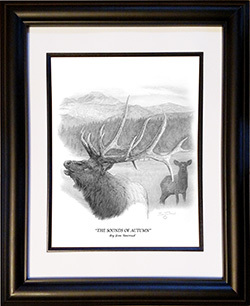 This black and white print of a drawing in the unique Jim Tostrud "Pencil" style features a Bull and Cow Elk. 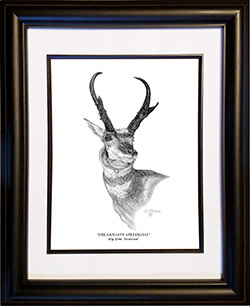 This black and white print of a drawing in the unique Jim Tostrud "Pencil" style features a Prong Horn Antelope Buck. 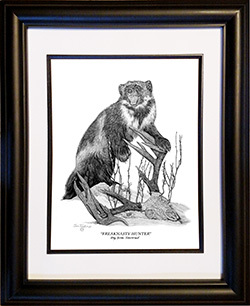 This black and white print of a drawing in the unique Jim Tostrud "Pencil" style features a Wolverine protecting it's prize. 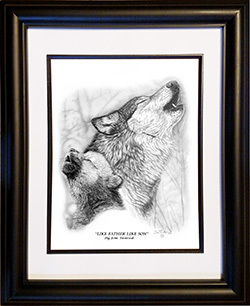 This black and white print of a drawing in the unique Jim Tostrud "Pencil" style featuring an Adult and a cub Wolf howling. 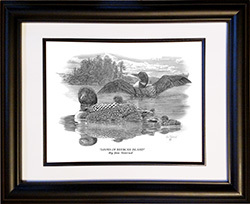 This black and white print of a drawing in the unique Jim Tostrud "Pencil" style featuring a Loon pair with young. 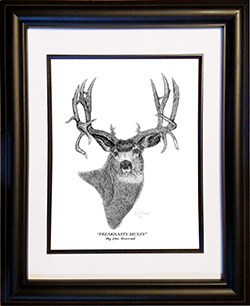 This black and white print of a drawing in the unique Jim Tostrud "Pencil" style featuring a non-typical freaknasty Mule Deer Buck. This black and white print of a drawing in the unique Jim Tostrud "Pencil" style featuring an awesome High Country Mule Deer Buck. 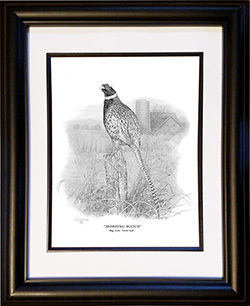 This black and white print of a drawing in the unique Jim Tostrud "Pencil" style featuring a Rooster Ringneck Pheasant using a fence post to get a better view. 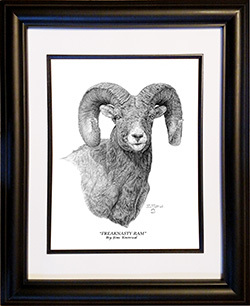 This black and white print of a drawing in the unique Jim Tostrud "Pencil" style featuring a freaknasty Long Horn Ram. 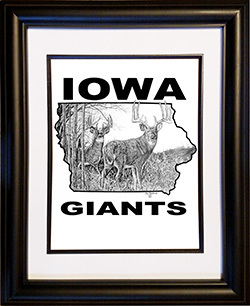 This black and white print of a drawing in the unique Jim Tostrud "Pencil" style featuring the state of Iowa and its trophy Whitetail Deer. 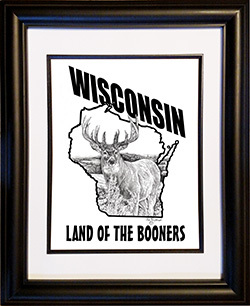 "Wisconsin - Land of the Booners"
This black and white print of a drawing in the unique Jim Tostrud "Pencil" style featuring the state of Wisconsin and its trophy Whitetail Deer. 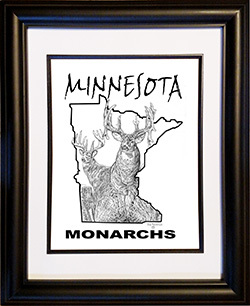 This black and white print of a drawing in the unique Jim Tostrud "Pencil" style featuring the state of Minnesota and its trophy Whitetail Deer. 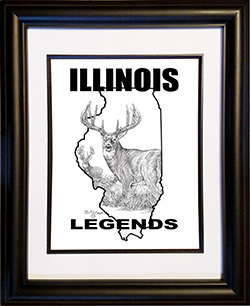 This black and white print of a drawing in the unique Jim Tostrud "Pencil" style featuring the state of Illinois and its trophy Whitetail Deer. 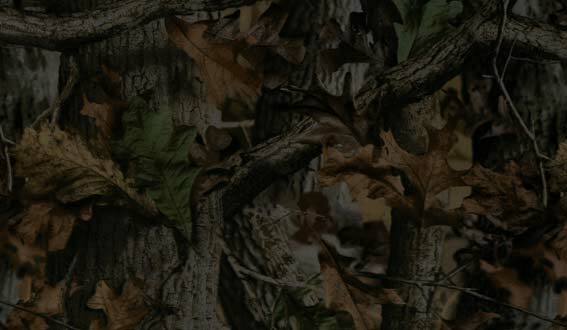 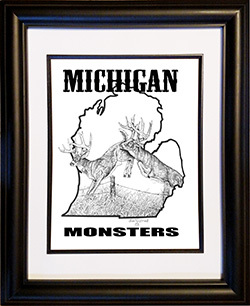 This black and white print of a drawing in the unique Jim Tostrud "Pencil" style featuring the state of Michigan and its trophy Whitetail Deer. 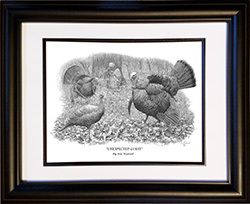 This black and white print of a drawing in the unique Jim Tostrud "Pencil" style featuring Tom Turkeys checking out a decoy with a hunter in the background.